Gold 101.3 FM Dubai Live Online . 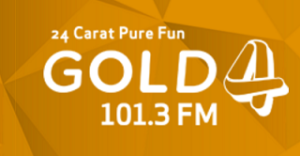 Gold 101.3 FM was Launched on 2010,is the newest addition to the Channel 4 Radio Network aiming to entertain the vast Malayali population residing and working in Dubai UAE . It is UAE’s No 1 Malayalam Radio Station . Gold FM Dubai with its huge collection of Malayalam and Tamil songs, and rocking DJs is the best Music you can Listen to at home, office or even during your long drives . Address : Channel 4 Radio Network, Dubai, United Arab Emirates .